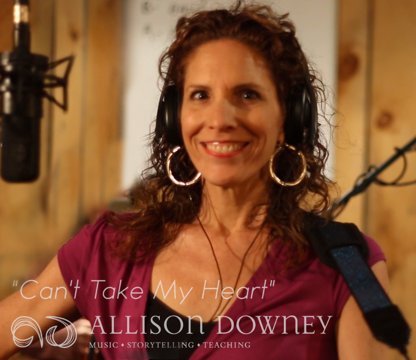 Thank you for your interest in my new single “Can’t Take My Heart”. I started writing this song years ago when my friends were battling cancer, and I finished it days before I started my own chemotherapy. (More about the story behind the song below) In the song, I give cancer a piece of my mind, but not my heart! It is an expression of empowerment over cancer – something I want to share with anyone else dealing with the devastating effects of this disease. If this message could give a lift (or even a laugh) to someone you know, buy this song for them or send them the link. Alternate versions are available for more sensitive ears. 10% of all purchases go to mucosal melanoma research. Thank you so much for your support! Hope you enjoy it and please share the link with anyone or organization you think would benefit from it. You can change the dollar amount in the shopping cart. THE STORY BEHIND THE SONG: I started writing this song a few years ago when one of my good friend’s battle with cancer took a turn for the worse. I called it “FU Cancer!” then (truthfully, I used the full monty, not the initials). My beloved aunt had died of cancer and 5 of my close friends had run ins with cancer. I was pissed. In 26 years of songwriting I have never used an expletive, but cancer needed a good cussing out, and it felt great to sing. But… I didn’t finish the song. Fast forward 3 years… 2 weeks after one of my friends lost her battle, I was diagnosed with my crazy rare cancer. I was told my chemo could take my senses of touch and hearing, making it pretty hard to be a singer/musician. So, 2 days before starting chemo we threw a party to celebrate all our blessings – friends, singing, playing and my hair! That morning, with a different perspective, I finished the song and we played it at the party. Many friends asked if they could get the song for someone they love with cancer. They thought it could lift spirits. Not that I felt like doing much of anything after a round of chemo, but If I was ever going to offer this song to the world, I’d better do it while I could still hear and play guitar. So, 2 days before my 2nd round of chemo, we recorded it. I realized that now the song is not just about cussing out cancer, but as a woman fighting cancer it is an act of defiance, an expression of empowerment over cancer – something I want to share with anyone else dealing with the devastating effects of this disease. It doesn’t matter if it’s the full monty, “FU, Cancer!” or “Up Yours, Cancer” (all versions are available). What matters is that Cancer can’t take my heart, and don’t let it take yours. That is now the name of the song, of the music video, and of my new written blog. Cancer, you have taken many things from me, and may take more, but you CAN’T TAKE MY HEART! If this message could give a lift (or even a laugh) to someone you know, buy this song for them or send them the link.